Originally slated to make his program choice later this afternoon, Oregon’s top uncommitted defensive back target Nigel Knott (4-Star/Madison, Miss./Rivals100) has delayed his announcement. Following what appeared to be an eye-opening visit to Eugene over the weekend, Knott has been given much to ponder as his collegiate career edges ever closer. Many thought it would take a lot to sway Knott away from staying in SEC country. Coupled with Oregon’s handling of his recruitment, the SEC’s recent struggles have appeared to move Knott to seriously consider journeying west and handling business in Lightning Yellow and Thunder Green. In regard to this weekend, what once appeared to have been a courtesy visit, now may have placed Oregon in the driver’s seat going forward. 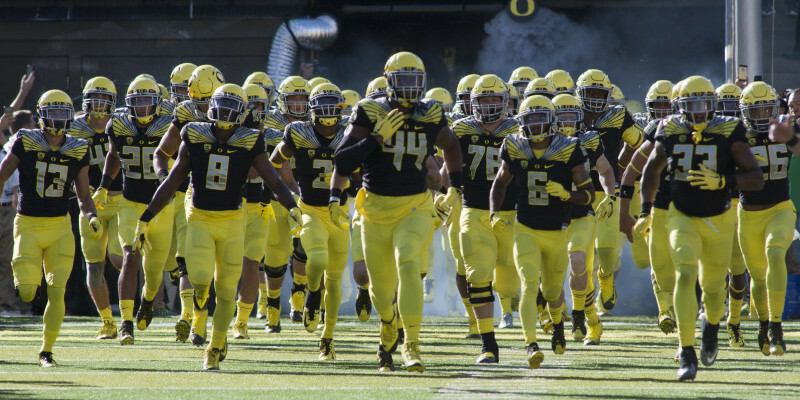 With renewed dust kicking up along the recruiting trail, expect Knott to announce sometime before the new year, WTD!